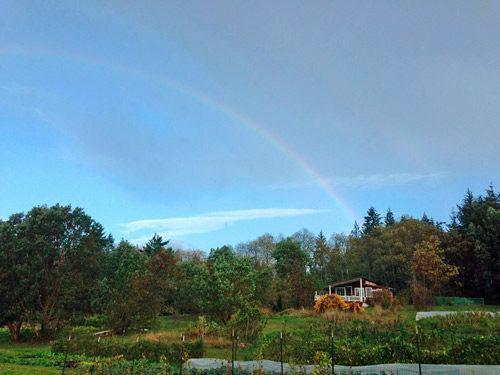 A rainbow over our last CSA harvest yesterday. Happy (last) CSA Wednesday, everybody! What a season! As the CSA wraps up this week, so does our season here at Persephone. Our last official day of work is Friday, then we’ll all move on to our next steps in the next week or so. Looking back over the past 8 months it is really incredible how much this farm has transformed. Brand new areas have been turned into productive farmland, and all of us workers have grown and learned so much valuable knowledge. 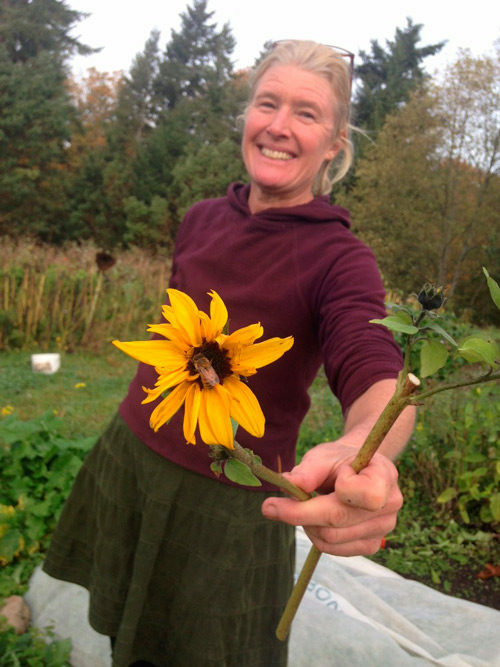 This week we’re wrapping up any loose ends, getting as much cover crop in the ground as possible, and harvesting our last rounds of flowers and vegetables. The weather today is a nice full-circle reminder of when we got here at the end of February, and the farm is starting to look more and more like it did when we arrived. Our few over-wintering crops are being prepped for colder temperatures to come, some by being nestled in the greenhouses or others by being sprayed with a cold-toughening kelp spray. We hope that you all have enjoyed sharing in the bounty of the season with us. 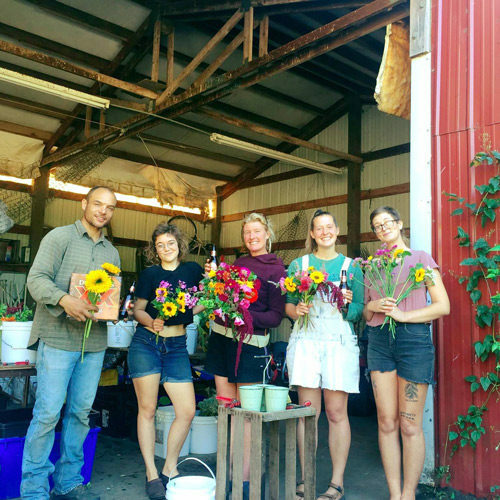 By supporting our farm you have allowed all of us flower-novices to learn the full cycle of flower growing, harvesting, and arranging — an experience we will all cherish for a long time. We have also all learned so much about vegetable production as well, and have been exposed to delicious regional treats such as pea shoots, sweet turnips and purple sprouting broccoli! From all of us at Persephone Farm 2016, including all of our pollinators like the one below, we would like to thank you for your kind words and continued support, and hope that you have a nice and relaxing winter.